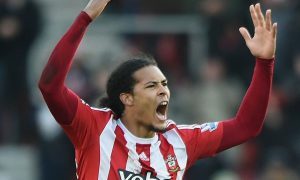 It has been widely reported that one of Manchester City’s top targets for the summer transfer window is Southampton defender Virgil Van Dijk. The Dutchman has been incredibly impressive for the Saints since he joined from Celtic in the summer of 2015, leading to interest from a number of Premier League clubs such as Liverpool and Everton. Southampton, however, have no plans to sell their captain in the near future, and the club’s chairman, Ralph Krueger, has confirmed their stance. “Virgil is very committed us for a long time and we don’t see anything but that in our future. He is our team captain and we don’t see him anywhere else than in red and white stripes,” Krueger said. While Southampton’s stance is currently strong, they have built an unwanted reputation in recent years as a ‘selling club’ with a whole host of first-team stars being allowed to leave St Mary’s. Nathaniel Clyne, Sadio Mané, Dejan Lovren and Adam Lallana have all joined Liverpool, while Morgan Schneiderlin and Victor Wanyama signed for Manchester United and Tottenham Hotspur, respectively. Therefore, there is the feeling that every player has a price at Southampton.